Still quiet here. Thought I'd post these. Well it's been over two years since this thread was first posted, thought I'd add something that fits with the subject. Don, your finds continue to amaze me. Nice item. Sorry for my delay in replying, I didn't know the answer & had to do some research to try & find out. Here a some pix of the award. Well, the short answer is "no" and the long answer is "maybe". 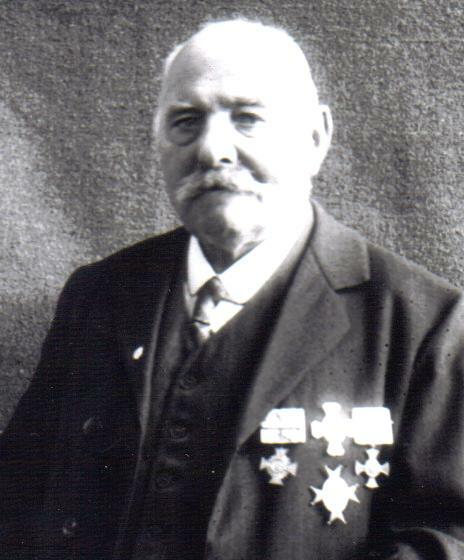 The medal you show here is actually the Prussian Landeskreigerverband" Kreigsverein Ehrenkruez". 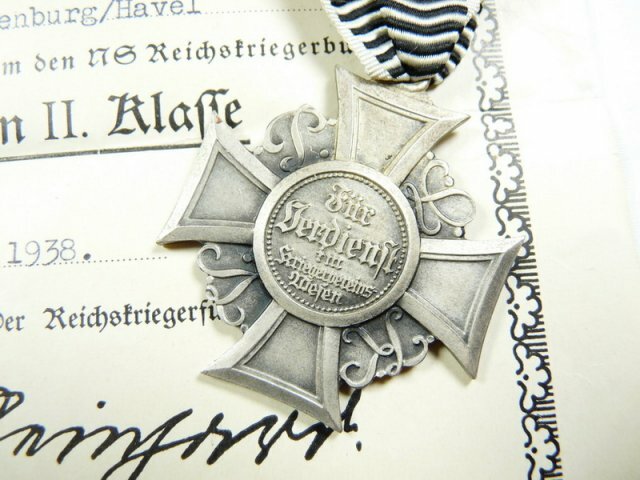 This cross was awarded by the War Vets Association of Prussia to its most distinguished and loyal members. It was technically a separate organization from the Kyfyserbund, which was and is a national veterans organization. However, after the "coordination" of the veteran's groups by the Nazis-beginning in 1934, the veterans groups were a little confused. There are groups out there with ironclad provenance with these awards-technically "banned" or "disallowed' by the decrees of 1935 (and early 1936 confirmations) being awarded as late as 1940! Apparently there was some "wiggle room". 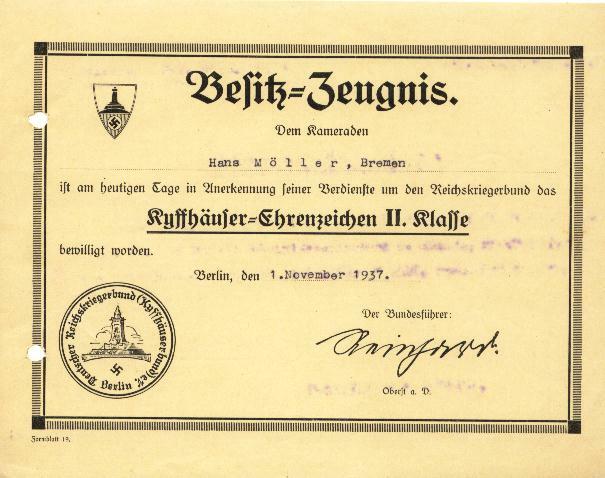 The ACTUAL Kyfserbund 2nd class award is NOT the long service award shown at the top. Ulsterman, thank you for joining in, as you can see this is not my area of knowledge . I'm a little confused I'm afraid. 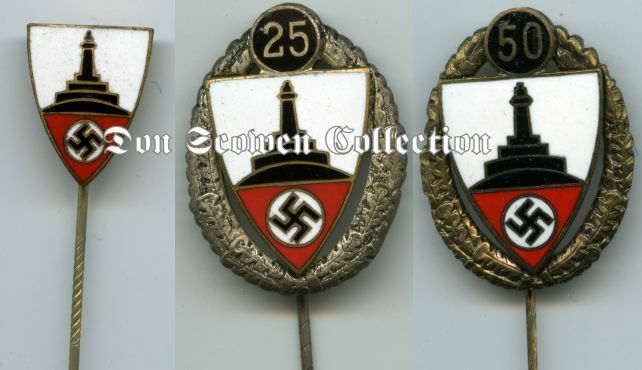 Are you saying that the enamel badges I posted at the top became the Ehrenzeichen? These are for 25 & 50 yrs, but members could qualify after 10 & 15 yrs? I've always had problems tracking down info on these badges (including in wear images) so any info you have on them would be very helpful. I misled you. The Kyfsrbnd. 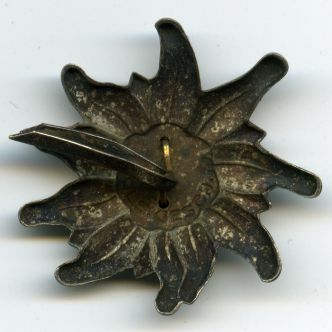 Ehrenzeichen is actually more like a "cap badge". I'll see if I can find a picture somewhere. The badges above are members' badges and Jubilee badges. The 40th year badge was issued in 1939. Correct. The Kyffhäuserbund-Ehrenzeichen was an award for outstanding membership. There are two classes 2nd class in silver and 1st class in gold. We can find six different models. M1 is with text "Der Kyffhäuserbund seinem Kameraden", M1a with clasp, M1b with small metal band. 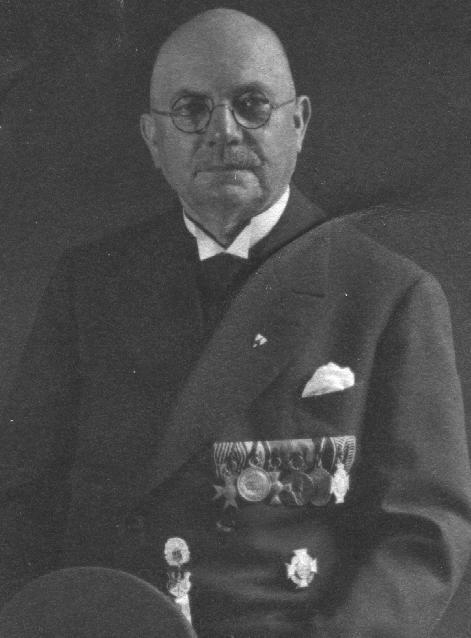 After renaming the Kyffhäuserbund to NS-Reichskriegerbund the awards become the text "Der NS-Reichskriegerbund seinem Kameraden". This M2 is only with small metal band to fix it. And, of course, all in silber and gold and M1 and M2 with award documents. 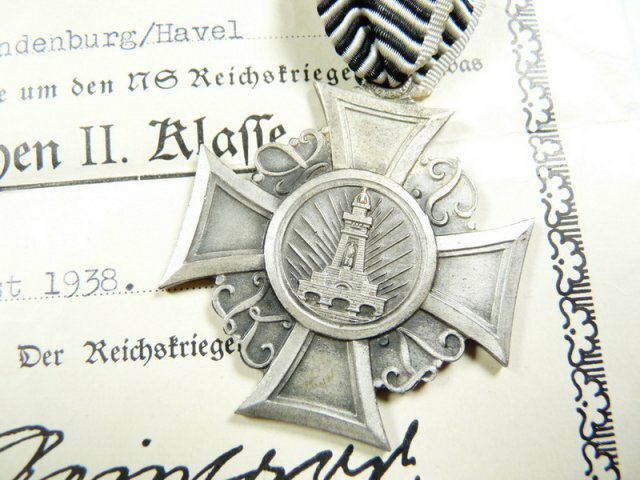 This awards are worn on the right side armband,half under Reichskriegerbund-Emblem. The cap badge shown in this thread, post #3, is an additional cap badge. 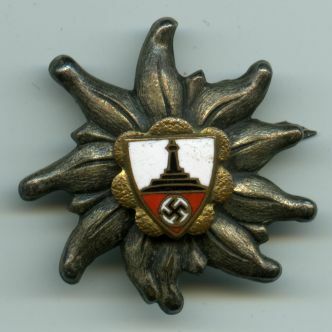 On march 18, 1936, the leader of Reichskriegerbund Reinhard regulated, that only members in "Gau Hochland" (county of bavaria) can wear an additional badge, the Edelweiss, in tradition to the Alpenkorps in WW1. Hi debbi082009 (sorry I do not know your name ). Thank you for the extra information that you have supplied, this is very interesting & helpful. I would just like to say thank you to all in this thread, I have acquired some of the fore mentioned pieces but knew very little about them, so now feel more enlightened. Hi Ulsterman, I bought a Preussen Landesverband Ehrenkreuz 3. Klasse, but judging from the photo Don provided with the urkunde, I can't tell the difference between my third class and the 2nd class in Dons photo. Can you enlighten me at all? I also thought mine was missing its ribbon ring, only having a jump ring, but it appears, again judging by Dons photo, that it is complete and they didn't have a jump ring plus a ribbon ring. Is that the case? I saw in Ulstermans photo he posted a similar item and to be honest I have no idea what this is??? Can someone provide any information on this?? 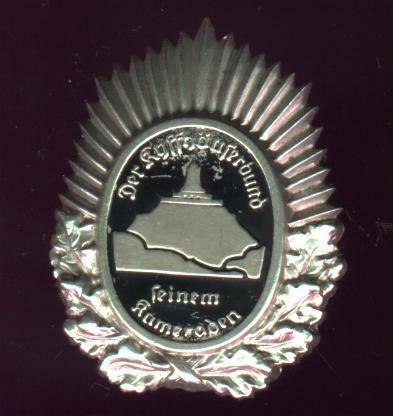 it is for 25 years membership in the "Preußischer Landeskriegerverband". it is for 25 years mebership in the "Preußischer Landeskriegerverband". it is a veterans organization. There is no direct translation, only appr. "Prussian Soldiers League" or "Prussian League for Veterans"
Hi Don! I have recently purchased the small version on the LHS for myself, although it does not have the same pin, just a straight pin with no knurling(?) marks on it, and it has no makers mark on the top reverse, but does have GES. GESCH on the bottom. How exactly would I describe this pin for my records please? And what does Ges. Gesch indicate? Thanks mate!